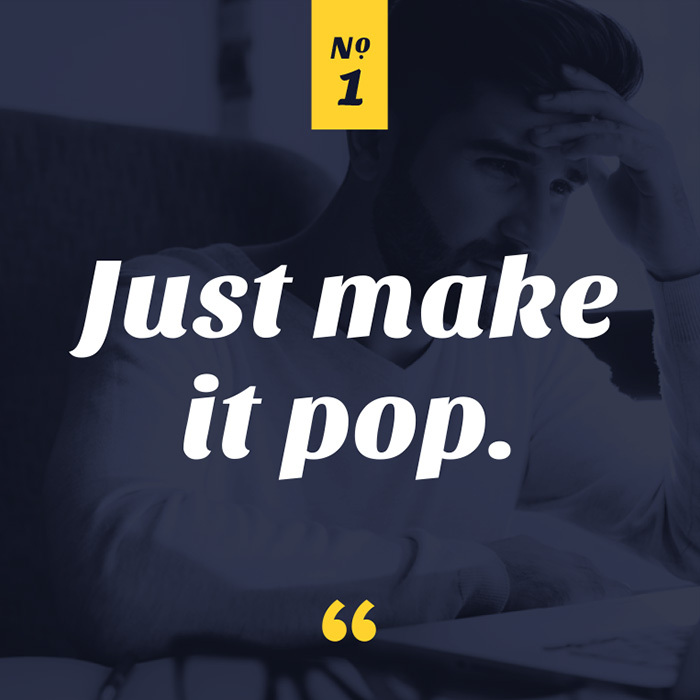 In an effort to highlight the plight of the misunderstood Creative (cue the sympathetic violin) we’ve compiled a list of the top ’10 things never to say to a Designer’. They’re sensitive, imaginative creatures that, like many, are required to work with tight budgets and even tighter schedules. Just like in any collaborative environment, an intimate understanding of each others way of thinking goes a long way to creating a wonderful result and forming a professional partnership. 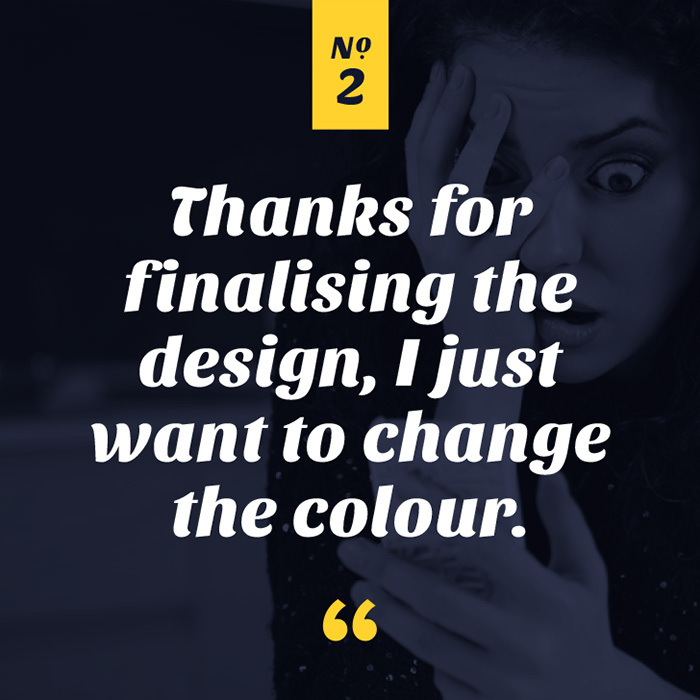 Continuing on from our initial post of numbers 10-6, here are our top 5 ‘things never to say to a Designer’. So, after several rounds of superficial text changes, the key stakeholders are only now allowed to see the proof? Yes, it happens! We appreciate the need for a project to be a certain standard before it’s presented to the masses; committees are known to nitpick. However, multiple, overly pedantic updates increases the number of overall revisions and causes project timelines, not to mention budgets, to overstretch. Updating errant body text isn’t necessary for early design proofs. Collate any unavoidable alterations, amongst those reviewing the project, and send them to your designer in one tidy email. Ask any marketing guru, they will reinforce the statement, ‘Content is King’. We couldn’t agree more! The first lesson you learn as a designer is that ‘form follows function’. These words, from my University lecturer, are seared into my brain. Basically, this statement indicates the form (or design) is secondary to the function (content) of any project. It’s impractical to think that something can be designed accurately when the full scope of the assignment is unknown. 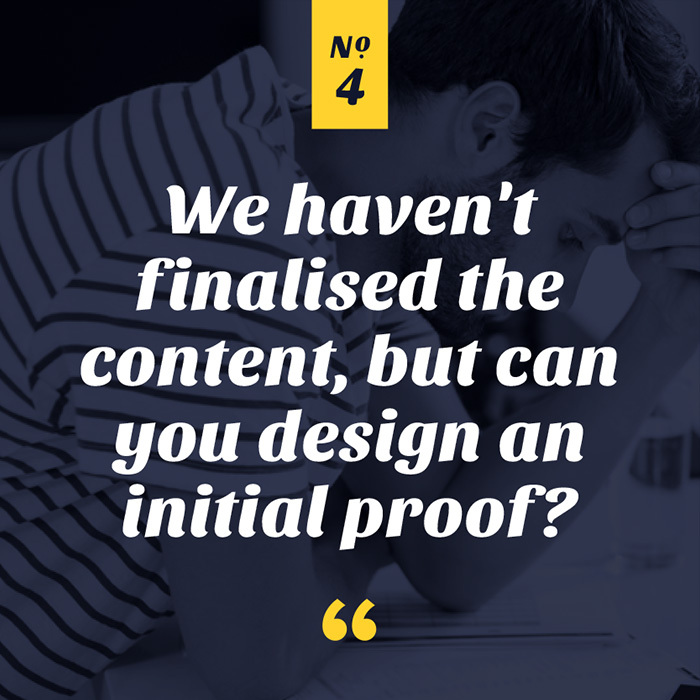 Some might think setting an initial style helps ‘get a head start’ on the project, despite having no content; all too often the job is lengthened as a result. This quip was knocking on the door of the lists’ silver medal, but as we’d previously written a whole article on the very question, it was docked marks for originality. It is one of the most frequent requests for our Web Design team. 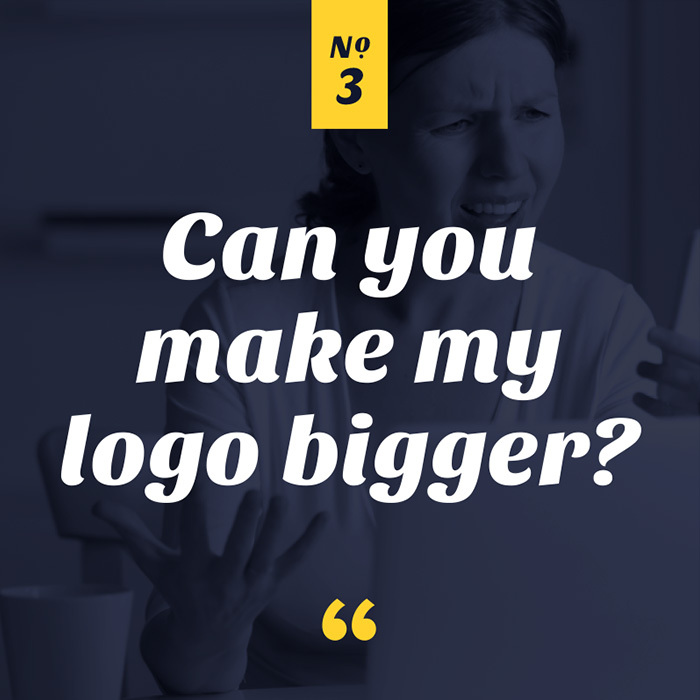 Not to say they intend the logo to look small and insignificant but, instead, they aim to avoid the visual consequences an overbearing brandmark has on a website. If you really, reaaaaally want your logo bigger, we recommend using this amazing cream. Clients feel it necessary to change their corporate colours, during the branding process, for many reasons. Some don’t understand the meaning behind certain colours, some receive ‘advice’ from their yoga instructor, while others simply don’t like the way they appear on their iPhones. Colour theory plays a key role in how potential clients view your brand, so just because your favourite colour is orange (which is tricky to print and can appear ‘cheap’) doesn’t mean it’s the best option for your business. Continue to breathe and discuss your concerns with your designer. The skin on my fingers actually crawled up my arm as I wrote that sentence. In my humble opinion, ‘pop’ is the worst descriptor in the whole of the English dictionary. 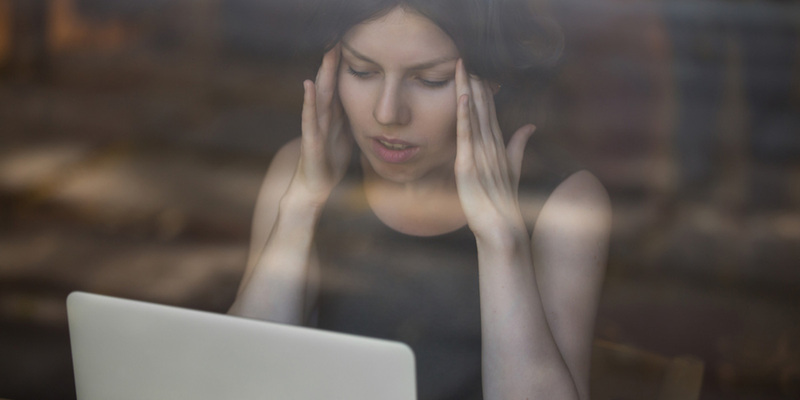 The word narrowly beats out ‘edgy’ or ‘fancy’ when it comes to accurate design feedback. Remember, a designer has an analytical mind, as well as a creative one. Use detailed descriptions and physical examples to guide their talents. Be as specific as possible; otherwise, a designers mind can, and will, go wandering. Open communication (and not assumption), in all of life’s collaborations, is essential for superior results.